An industrially grown Basil plant sold at the local superstore, starts a new life. 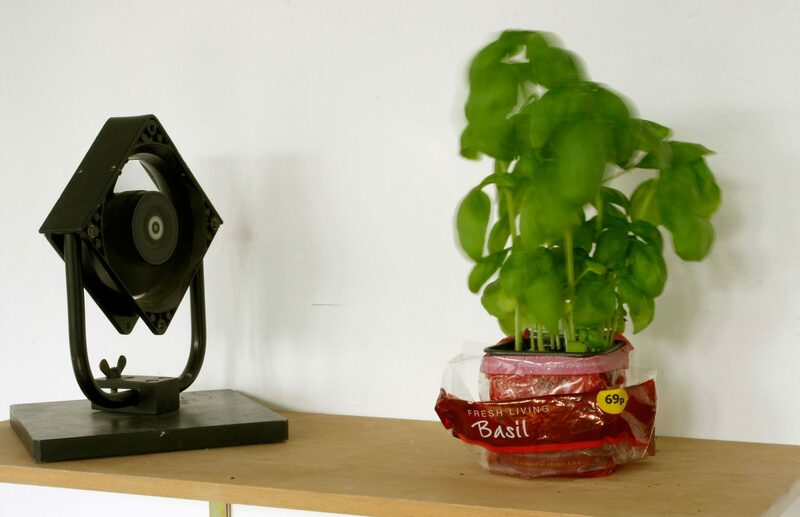 The air stream of a small fan keeps it constantly moving and dancing over the period of two weeks, thus blowing power into the poor creature that had only been designed for rapid consumption. After one week of wind stimulation and watering the stems and foliage grew stronger and stronger and the plant was granted a place in an outdoor flower bed, where it thrived for a long time.